Attract attention with a splash of color. 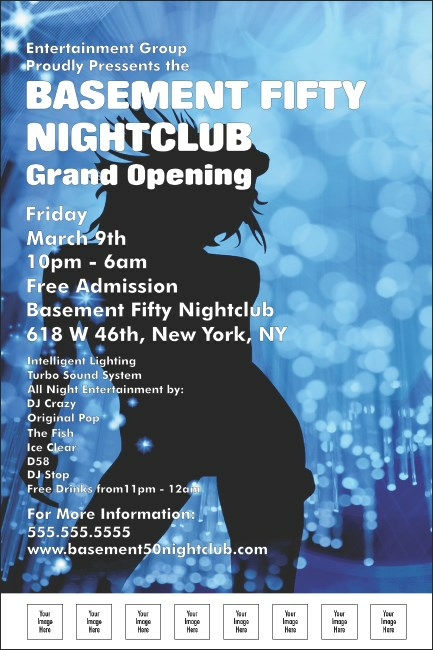 Clubbers looking for a night out will flock to your venue when they catch sight of the blue Nightclub Poster. On it, a blissful dancer moves to the music against a background of swirling designs and eight spaces on the template await custom images of your sponsors and performers. Move to the beat of great promotions with a matching event kit from TicketPrinting.com.